Smile Solutions by Emmi Dental Associates is a leading dentistry practice in Wilmington, offering the latest in restorative dentistry as well as advanced cosmetic and general care. Many patients who come to the practice have issues with tooth damage, such as chips and cracks. Thankfully there are different options out there that can address the cosmetic and health issues associated with this kind of tooth damage. When you have teeth that are chipped or cracked, it can lead to various aesthetic problems with your smile. This is especially true if the chip or crack affects the front teeth. Even minor chips can cause people to feel self-conscious about the look of their smile. This means reticence when laughing, speaking, and smiling, both around co-workers and loved ones. 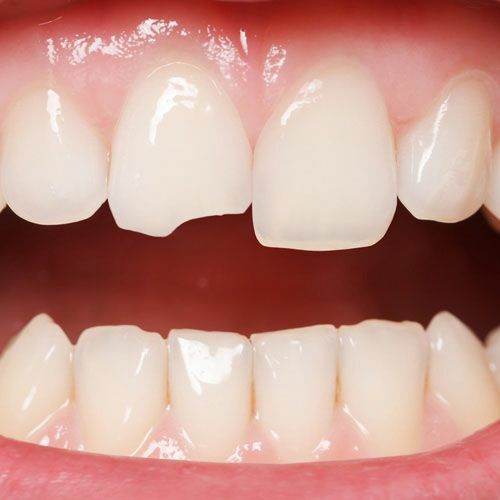 In addition to causing cosmetic problems with the smile, a chipped tooth can also cause health problems to occur. In general, this means that the teeth are weakened, which makes more serious tooth damage and even full breaks of tooth structure more likely. If a patient's chip is minor, the best option for treatment is dental bonding. Dental binding involves the application of tooth-colored resin to the surface of a tooth, allowing dentists to rebuild the missing structure of the tooth. The resin is then carefully polished to ensure it blends in seamlessly with the rest of the tooth structure. For more serious chips that are still essentially cosmetic in nature, the best option to consider is the use of a porcelain veneer. Porcelain veneers are thin shells of dental ceramic that are affixed to the fronts of the teeth. When in place, the veneer masks imperfections from view, including chips. Porcelain veneers are also good options to consider for stains, gaps, minor misalignment, and any asymmetry with a tooth. For more serious chips that affect a larger part of the tooth structure, inlays and onlays tend to be most ideal. Inlays and onlays are similar in some ways to dental fillings, though they are larger and able to restore the cusps (biting surfaces) of a tooth if need be. Inlays and onlays come in ceramic/white and metal forms. Metal inlays and onlays are more common for the molars given the function those teeth are intended to serve and their lack of prominence in a person's smile. When a tooth is severely chipped, the best option to save the tooth is a dental crown. A dental crown is designed to cap a tooth that has been seriously damaged, protecting it from further harm and minimizing any pain or sensitivity associated with the tooth damage. As with inlays and onlays, dental crowns come in different forms, including ceramic/white and metal. What If a Tooth Is Too Chipped to Be Restored? There are some cases in which a tooth is too damaged to be saved. In these cases, the best option may be extraction. When this is the solution, your dentist can go over options to address the loss of the tooth, such as a dental bridge or a crown supported by a dental implant. To learn more about fixing teeth that have been chipped or cracked, be sure to contact our cosmetic and restorative dentistry center today. The team at Smile Solutions by Emmi Dental Associates looks forward to your visit and helping you have a healthy and beautiful smile again.